Jeff Roby founded Roby Company in 1975. 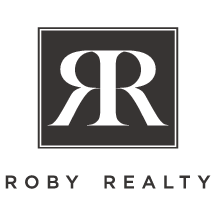 Through Roby Company, he has invested in and sold real estate, as well as operated several successful car dealerships in the Columbus area. Jeff attended Ohio University where he studied Architecture. He has 40 years of real estate experience in buying, selling, and leasing commercial and residential properties. Jeff enjoys golfing and spending his free time with his wife, Bonnie, his children Jessica, Josh, and Joel, and his two grandchildren.